Mama Fashionista: Carol's Daughter Wants to Help You Through Your "Transitional" Phase! Carol's Daughter Wants to Help You Through Your "Transitional" Phase! Hair is sometimes inextricably tied to a woman’s sense of identity. When we have a bad hair day, inevitably our entire day goes downhill. When our hair is at it’s glorious best, we go through our day feeling like we can accomplish anything. We could spend all day talking and learning about the psychological impact a good/bad hair day has on your daily mood. Often times, the hair that we are born with is not the hair we want (see A Natural State of Mind). We spend countless hours (not to mention dollars) straightening what was curly, curling what was straight, and altering the color to every shade under the sun. 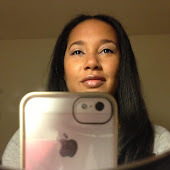 CAROL'S DAUGHTER IS SEARCHING FOR 3 WOMEN TO ENTER ITS "TRANSITION ME BEAUTIFUL" CONTEST & EMBRACE THEIR NATURAL HAIR! Carol’s Daughter knows that transitioning from chemically relaxed hair to natural texture isn’t just about hair—it’s a whole new outlook on life. Women across the country are starting their transitioning journey and Carol’s Daughter wants to share their experience—the excitement, the challenges, the changes and the freedom. That’s why the brand is kicking off a search for three women to chronicle their journey as they transition on a new site from Carol’s Daughter. 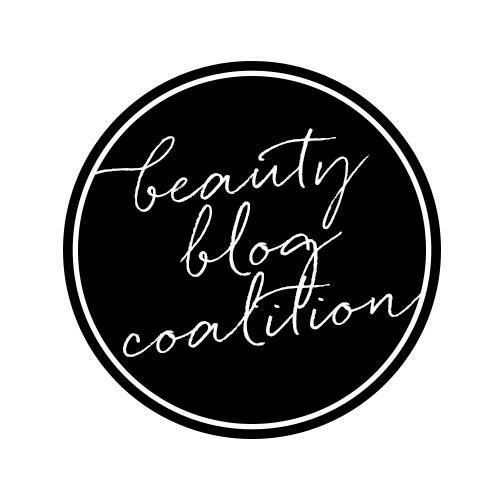 To support the selected women as they make the total lifestyle transition, Carol’s Daughter has enlisted a savvy glam squad of renowned experts including Curly Textured Expert, Diane DaCosta, Author of Textured Tresses, , and Health & Wellness Expert Latham Thomas to equip them with the confidence and resources for their journey ahead. The winner’s journey will be documented for one year on the new Carol’s Daughter website devoted to Transitioning, launching in Spring 2012. “We are particularly excited to present this contest because through it we are able to offer women the guiding solutions, confidence and resources they need to transition and eventually find the freedom within their natural texture and new lifestyles,” says Carol’s Daughter Chief Marketing Officer, Olivia Scott-Perkins. As part of their prize, the winning models’ 360o Transitioning Immersion Weekend in NYC includes an intimate dinner with Carol’s Daughter Founder Lisa Price, a spa experience at The Back Room Hand & Foot Spa, a one-year’s supply of Carol’s Daughter products, a Flip Cam, a custom wardrobe by Sammy B, and a photoshoot! Ten first prize winners will receive a Flip Cam to document their hair journey, Carol’s Daughter products, and an “I Love My Hair” t-shirt. Twenty second prize winners will receive Carol’s Daughter products and an “I Love My Hair” t-shirt. 1. Why do you want to transition? What is your personal hair story? 2. What particular moment in your life brought on this decision? 3. What will transitioning mean for you? 4. How long have you been transitioning? Winners will be announced by Lisa Price on April 6, 2012 on Facebook. How exciting is that?!? 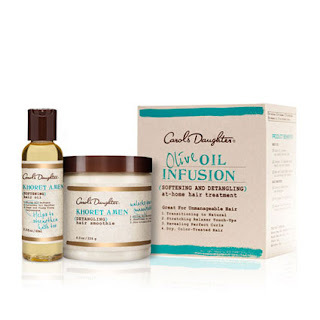 My oldest daughter is transitioning and we had the chance to try Carol’s Daughter Olive Oil Infusion Kit (there will be a separate post about this WONDERFUL product) and it was amazing to see the beautiful texture of her natural hair after all of this time! Are you transitioning? What are some of the difficulties you are facing? What products are you using to pamper and care for your tresses in this delicate phase? Are you a Carol’s Daughter fan? 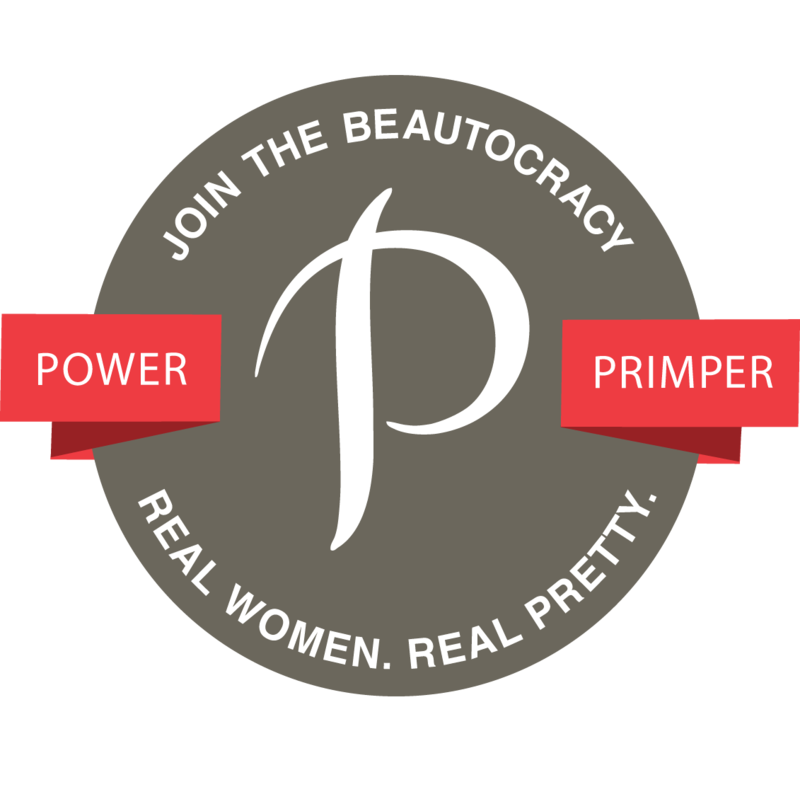 Make sure to like them on Facebook (and Mama Fashionista while you’re at it) and enter the “Transition Me Beautiful” Contest!